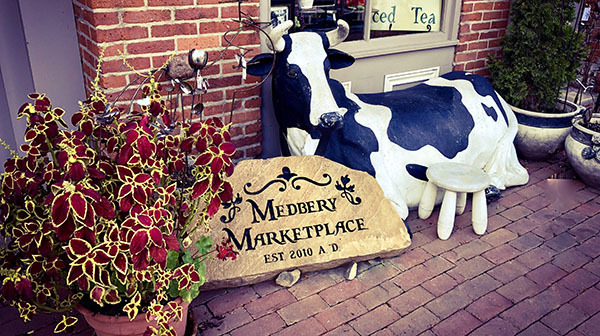 Open Daily 11:oo a.m. to 5:00 p.m.
Medbery Marketplace opened in 2010 and is located in Historic Roscoe Village – a restored canal era town that was once a bustling port along the Ohio & Erie Canal from 1830 through 1913. The market is owned and operated by the McKenna family. We have been in the deli and market business for a long time – starting with Unusual Junction in nearby Coshocton County back in the 1970s. 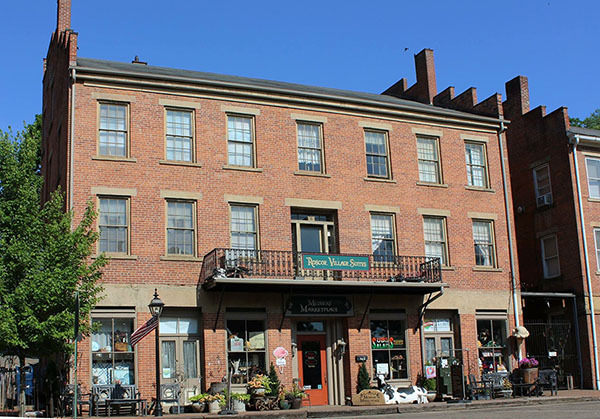 Our store is located in the restored Roscoe Hotel (circa 1856). The building was built by Arnold Medbery and it replaced Medbery’s earlier, wood framed hotel (built 1832) that burned. This building was also a stagecoach stop and was believed to have been on the Underground Railroad. The building housed retail businesses on the main level, sleeping rooms on the second and third floors, and a ballroom on the top floor. Over the years the building has had many businesses, including the Roscoe Hardware Store that was an icon in the Village throughout the later part of the 1900s. Today,the 403 N. Whitewoman Street building houses Medbery Marketplace on the main level and apartments on the upper floors. ‘Why is it called Whitewoman Street?’ you may ask. The name goes back even before the canal times. Mary Harris, a captive of the Indians, was considered the first ‘White Woman’ in the Ohio Country. She and her Indian family settled in a nearby town in 1748. She was so respected by her Indian peers that they named the village where she lived ‘Whitewoman Town’, and the trail leading to the village was called ‘Whitewoman Trail. That trail is today’s Whitewoman Street. (Walhonding is the Indian word for Whitewoman).